Before the stock market crash of 2008, getting approved for a mortgage was about as easy as getting up in the morning. Basically, if you could fog a mirror, you were halfway through the mortgage approval process. However, after the stock market crash and the declining financial climate that followed, obtaining mortgage approval for the purchase of a home or a refinance became very difficult. All of a sudden, credit requirements increased almost 100 points with some lenders, and other financial requirements became much more difficult for consumers to meet. While many thought that this trend in the mortgage industry was the new normal, it has become increasingly easier to qualify for a mortgage loan. For the past few years, many lenders have required minimum credit scores close to 700 for qualification of most of their mortgage programs. Now, there are many lenders in the mortgage market who look for a minimum credit score as low as 640. This certainly makes the credit requirement much easier to meet than before. In the pre-2008 mortgage world, you could get 100% financing with a 580 credit score in an adjustable rate mortgage with a five year lock. After 2008, receiving 100% financing was almost impossible. Rural development is a government housing division that offers financing up to 102% of the purchase price of a home. The loan does require that you pay a government fee for accessing these funds. However, the extra 2% available for financing means you can finance the fee as well. Rural development is not available everywhere. As its name suggests, it is available in most rural counties, and the qualified property costs differ between locations. An FHA loan is a great option for a home buyer who does not have the perfect credit or financial profile. FHA loans allow financing of 96.5% of your loan with a 3.5% down payment requirement. FHA loans allow for somewhat lower credit scores, and are not as strict on their financial requirements. Therefore, if you have a credit profile that does not show a great deal of credit history, or if you have a blemish on your credit report, you will have an easier time qualifying for an FHA loan verses a conventional loan. FHA is also a government loan which does require payment of a government fee. If you are looking to purchase a home, you should look for a HUD owned home. Because these are technically homes that have usually been foreclosed on, and are now owned by HUD, the government offers many great incentives to get buyers to purchase these hones. For some programs, there is down payment assistance and easier qualification. In addition, in many markets, HUD will even pay a large portion of the closing costs. 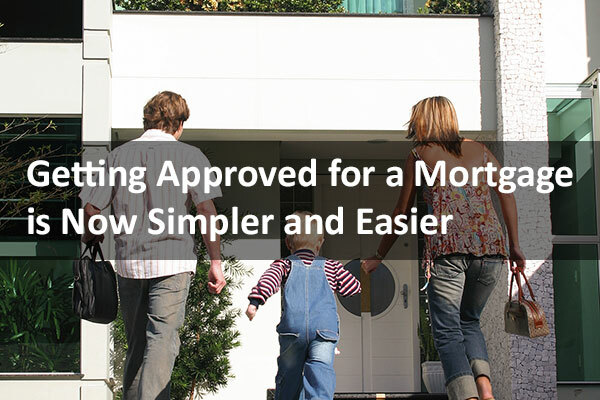 With all of these new programs available, it is now certainly possible for consumers to purchase or refinance a home easily and receive great mortgage rates. To make sure you will qualify for a home loan, it is a good idea to speak with a mortgage broker to gain insight into what you will need to do to qualify for a home mortgage. Then, you will be prepared when the time comes to purchase a home.